Click on any of the Sacraments below to learn more! Infant baptisms normally take place on Saturday or Sunday, after Mass. Other times can be arranged at the discretion of the pastor or deacon. 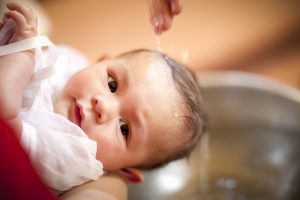 Parents who are having their first child baptized here at Precious Blood are asked to participate in baptismal preparation by contacting the parish office. To schedule a baptism for your baby or young child, contact the parish office. 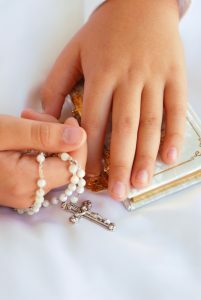 Children entering the 2nd Grade are normally prepared to receive their First Reconciliation and First Communion either through religion class at Holy Trinity Catholic School or through religious education release time provided by another parish during the school day. First Reconciliation is usually celebrated sometime in December or January. First Communion Mass is usually held the first Sunday of May. Please call the parish office if you have any questions concerning these sacraments 812-482-4461. Young people in the Diocese of Evansville are required to be at least 16 years of age to receive the sacrament of Confirmation. Here at Precious Blood, discernment and preparation for the sacrament of Confirmation begins in their ninth grade year. Confirmation is normally held in the month of February. 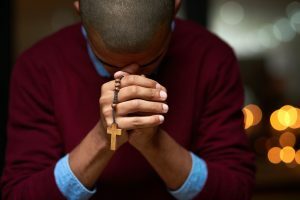 Bishop Joseph Siegel, Bishop of the Diocese of Evansville, IN, has requested that the students attend all Wednesday evening faith formation sessions throughout high school when considering the sacrament of Confirmation. Freshmen are encouraged to attend the Confirmation Spectacular that is also held during the month of February at St. Joseph Parish in Jasper, IN. Dates and times will be published in the bulletin and discussed during class. Sophomores are required to do a retreat prior to being confirmed. Information on retreats will be published in the bulletin and discussed during class. Catechesis does not stop after you receive the sacrament of Confirmation. The precept of the Catholic Church clearly states to study Catholic teaching throughout one’s life, especially in preparing for sacraments. 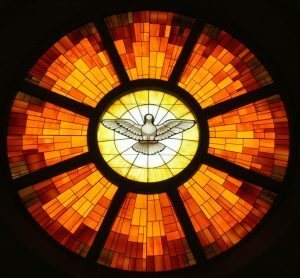 For information concerning the Sacrament of Confirmation, please call the parish office at 812-482-4461. Initiation of Adults. This process, better known as the R.C.I.A., consists of sessions of inquiry, catechumanate, and mystagogy. Sessions begin mid September or the first week of October. Dates and times usually depend on those going through the process. Inquiry is designed to help interested individuals become more aware of the beliefs and practices of the faith. There is no pressure for a commitment to join the faith. All are welcomed to participate as much or as little as they prefer. 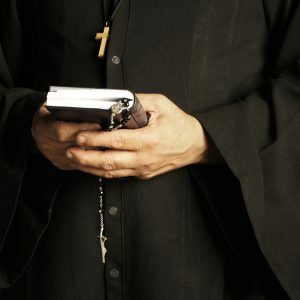 After one inquires and discerns that they are ready to move into a deeper discussion of the faith, the individual will start meeting weekly with a team of individuals who will discuss in more detail our faith traditions and practices using prayer and scripture. The individual has now entered into what we call the catechumanate. Once the individual has made a firm commitment to join the Catholic faith, they enter into full communion with the Church through the sacraments of Baptism (if one has not been baptized in a Trinitarian tradition), Confirmation, and Eucharist at the Holy Saturday Vigil. 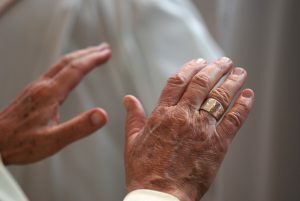 After receiving the sacraments of initiation, the neophytes (newly initiated) individuals meet weekly to grasp the paschal mystery and discover how to make it a part of their daily life. As the neophytes begin to strengthen their walk in the Catholic faith, all are encouraged to discern what ministry in our parish family they feel called to serve. This is called the period of Mystagogy. The sacrament of Reconciliation is offered on Saturday afternoon 3:00 pm – 3:45 pm or by appointment by contacting the pastor. Communal reconciliation services are offered at select churches in the deanery during Advent and Lent. Times and locations are announced in the Sunday bulletin. Please call the parish office before scheduling your wedding date. 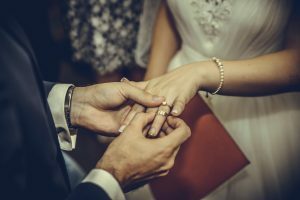 All couples must begin meeting with Fr. Gary at least 6 months in advance. Please contact the parish office to receive an anointing for an illness or before surgery. Annual communal anointing services are held after some masses. The Diocese of Evansville Vocation Office will help you discover the joy of hearing God’s call and respond with openness and generosity. Click here to visit the Diocese Vocation’s page. 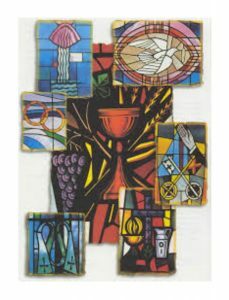 For more information on any of the Sacraments, please contact the parish office.